Johnson 9.9 hp decal set for Outboard motors from 1986. This decal kit can replace OEM Part number: 0396330, 0396331, 0396332. Johnson 9.9 hp small decal. 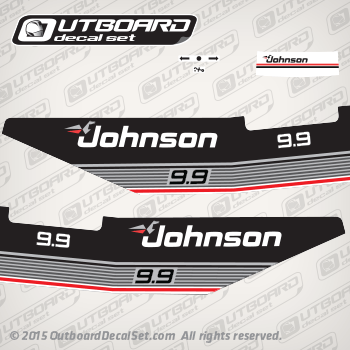 This set of decals may work on Johnson Outboards from 1986 and others.